Play as much as you want! Only $18.00 per person! 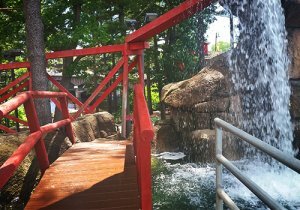 Take advantage of the “Early Bird” Special: $5 Rounds of Mini Golf between 10AM and 11AM! 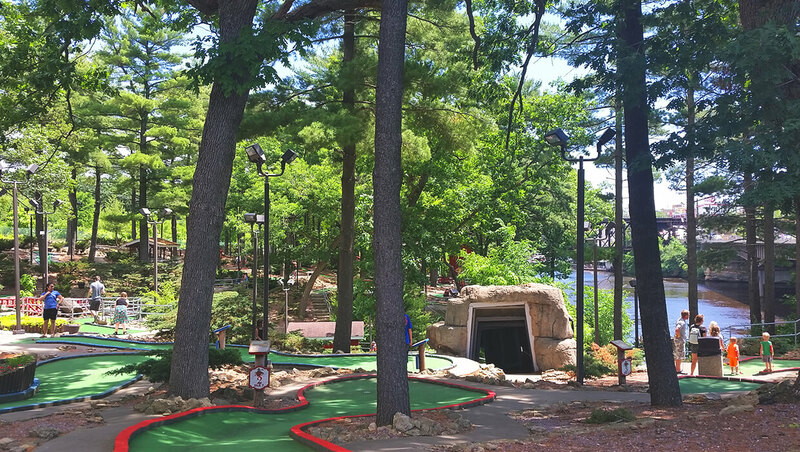 3 scenic courses – Stay for a second round at half price! 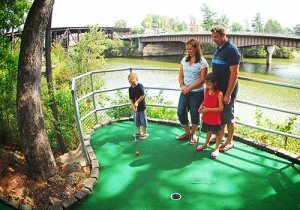 If you are looking for a unique Mini Golf course, you have found the place! Our courses are fun for all ages! 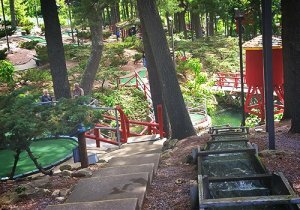 The only mini-golf in all of Wisconsin Dells with shade! 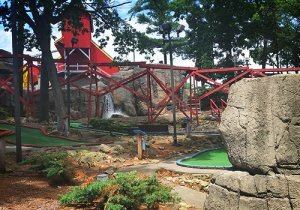 Four different 18-hole courses that are notable for their thundering waterfalls and rugged terrain along the scenic shoreline of the Wisconsin River. 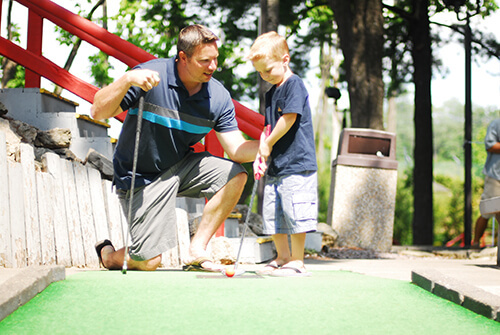 Leave it to us to turn mini-golf into a family sport. 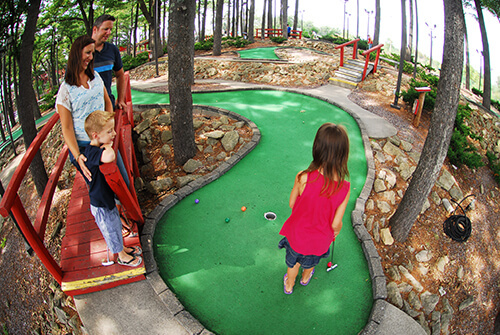 "Our favorite course is the one shaded by pines on a bluff near the dam" - Travel American Magazine.